World Malaria Day is observed worldwide on April 25th. 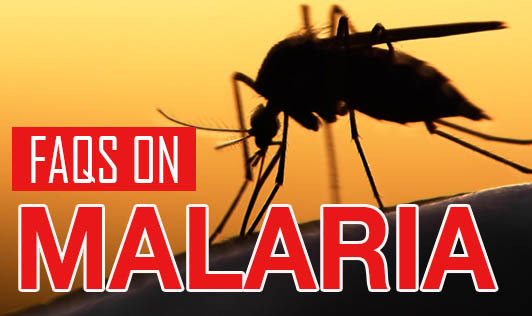 Malaria is one of the most notorious diseases and unfortunately, as you are reading this article, around half the world is still dealing with it. Malaria is spread by the female Anopheles mosquito that is normally active during the night. Female Anopheles mosquito is actually the carrier of a parasite called Plasmodium falciparum. This parasite enters the body through a mosquito’s bite and rapidly replicates in red blood cells. High fever preceded by chills and shivers. Recurrent fever accompanied with severe headache. People may go into coma or eventually die from it if the disease is not diagnosed and treated on time. A mild malarial attack can be cured with Artemisinin-based Combination Therapy (ACT). In case of a severe attack, the first line of treatment includes intravenous administration of Artesunate with Quinine as an alternative. Avoid water stagnation and keep all water storage reserves covered at all times. Use mosquito nets around the house and over bed posts. Apply mosquito-repellent balms or creams on exposed body parts before going to bed. Keep your house mosquito-free by using effective aerosol repellants. The fight against malaria can be successful if everyone has full awareness about the disease and does their bit to prevent it. Lets’ join hands and fight together!